Education details can be referred through the official notice link mentioned below. Selected candidates will undergo the salary of Rs.37400-67000/- (PB-IV) AGP Rs. 10000/- for Professor posts, Rs.37400-67000/- (PB-IV) AGP Rs. 9000/- for Associate Professor and for Assistant Professor Rs.15600-39100/- (PB-III) AGP Rs. 6000/-. Candidates need to pay Rs. 500/- and Rs. 20/- postal charges in the form of Demand Draft payable at The Section Officer, Recruitment Cell, Room No. 131-132, Administrative Block, Jawaharlal Nehru University, New Delhi–110067. There is no application fee for SC/ST/PH candidates. 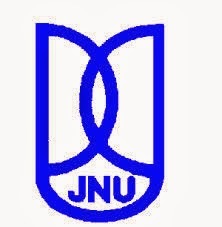 The application form can also be downloaded from JNU website: www.jnu.ac.in. and the duly filled-in application form can be submitted along with Demand Draft.